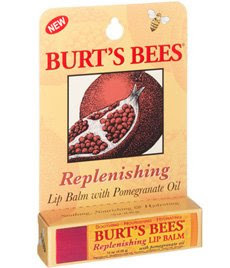 I’ve known about Burt’s Bees for a few years now, but hadn’t had the chance to try out their products. When I was given the opportunity to review a couple of their products, I happily jumped at the chance! Burt’s Bees has been around since 1984 and is now the leading manufacturer of Earth friendly, natural personal care products. All of their products contain only natural ingredients like beeswax, botanical and essential oils, herbs, flower and minerals. They have quite an extensive line with 150 products in various categories including baby care, lip care, hair care and men’s care to name a few. The first product I reviewed was the Replenishing Lip Balm with Pomegranate Oil. This is described as a natural lip balm infused with antioxidants to replenish and hydrate your lips with a hint of colour to give a more even tone. My lips get so dry and even worse when the weather is cold. This would have been great to use all winter, but at least I had it for the tail end. It really did the trick and made my lips feels soft and moisturized. The taste was even good! To look at the actual lip balm its a dark red colour so you might think it would go on really dark. However, I was pleased to discover that it didn’t look like it had a colour once you put it on your lips. I tend to prefer natural lip balm because I can put it over top of my lipstick and it won’t screw up the colour! Excellent product! 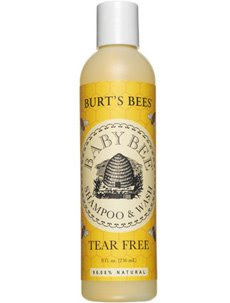 I also tried a product that all you mom’s out there will love- Burt’s Bees Baby Bee Shampoo & Wash. This product was created to gently cleanse your baby from head to toe using only nature’s safest ingredients to ensure no tears or irritation. As all of Burt’s Bees products, there is no parabens, phthalates, sodium lauryl, laureth sulfate. Wow that was a mouthful! The Baby Bee Shampoo & Wash contains two key ingredients- coconut and sunflower oils to cleanse and soy protein and sugar ester to soothe and soften skin and hair. I tried the Baby Bee Shampoo & Wash on my little niece, Avery, who is 10 months old. Both my sister, Laura (Avery’s mom) and I liked the gentle smell and how it wouldn’t be irritating to Avery if she did get some in her eyes. It lathered nicely and rinsed off easily which is important since you don’t want a residue left on your little one. I love the fact that it is natural and chemical free. It’s definitely a product that Laura will use again with Avery. I thought both products were great and I love how Burt’s Bees is truly an environmentally friendly company! Burt’s Bees products are available at speciality, health and drug stores nationwide, select mass market retailers such as Shoppers Drug Mart, Walmart and Whole Foods and via their website.